Staff at Stirling Speech Pathology have extensive experience providing school speech pathology services. Screening of kindergarten, pre-primary or Year 1 classes: We can screen whole classes or just a few children for whom the teacher holds concerns. The areas screened include: articulation (speech sounds), comprehension, expressive language, narrative and phonological awareness. The cost is around $50 per child and covers the time commitment. It also includes collation of data and the write-up of individualised parent/teacher feedback letters. One-on-one sessions (usually around 30 mins each) with a number of high-priority children. Feedback and activities are passed on to teaching staff and/or parents. Teachers and Education Assistants (EAs) are invited to observe. 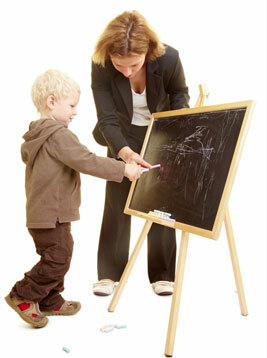 They are encouraged to learn the strategies to teach certain speech/language related goals. These sessions may be funded by the school or by the parents of those children being treated. Parents can utilise their private health insurance or Medicare EPC rebates. Consulting with staff. Students are observed in class and then discussed with teachers. Assistance is given to set appropriate speech/language IEP goals together with relevant activities to help. Small group sessions. These groups work well for children with English as a Second Language (ESL). We assist with teaching aspects of the English language. We also help children in typical classrooms learn aspects of expressive language, articulation, comprehension or phonological awareness. Groups would last 30 minutes each.